Q Are there any studies conducted on lion’s mane mushroom, Ji-Lin ginseng, and ashitaba? A joint research project by Japan’s Tohoku University, Hokuto Corporation, and Shinshu University found that lion’s mane mushroom supports the production of the enzymes that give cells the signal to release more nerve growth factor (NGF). From there, NGF can do its normal work of maintaining, repairing, and improving the infrastructure of memory. A study published in Ukraine’s Fiziolohichnyĭ Zhurnal shows that lion’s mane mushroom directly supports myelination and myelin growth. 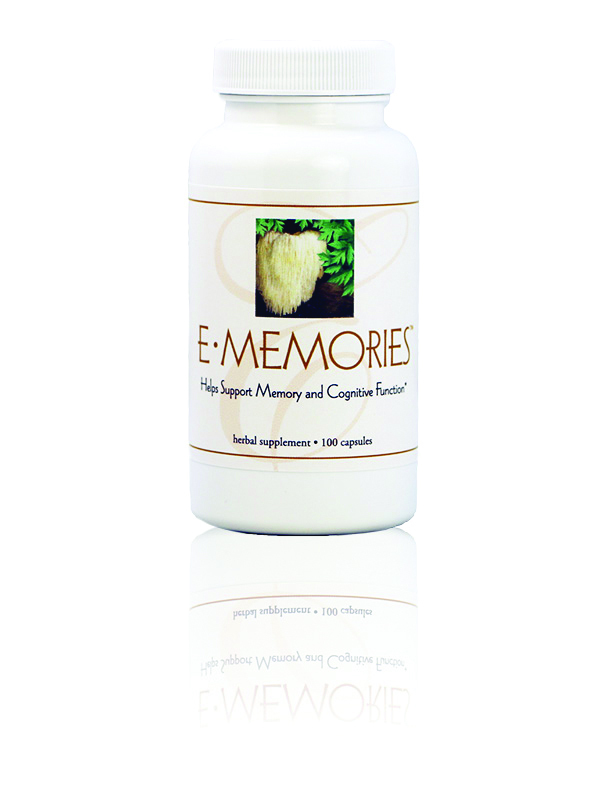 A study published in the UK journal Phytotherapy Research shows that lion’s mane mushroom supports cognitive function. A study conducted by Gifu Pharmaceutical University, Japan, found that Ji-Lin ginseng contains an NGF-like substance that supports neuronal outgrowth. Ji-Lin ginseng also contains compounds called saponins, which support healthy NGF levels in the brain. Ginsenoside Rg1 in Ji-Lin ginseng helps support neurons and cognitive functions. Furthermore, ginseng has beneficial pectin that has been found to support brain cells from toxicity created by free radicals. As for ashitaba, a study published in Japan’s Biological and Pharmaceutical Bulletin shows that ashitaba supports internal signals that increase the levels of brain-derived neurotrophic factor (BDNF), which helps maintain neurons. Another study shows that powders made from ashitaba support healthy levels of NGF in the brain and muscles. Chalcones in ashitaba not only promote the production of NGF and BDNF, but also serve as antioxidants. Nerve growth factor (NGF) is a protein that is extremely important for the normal development of the brain and nervous system. Research shows that NGF can help maintain healthy peripheral nerves (the nerves outside the brain and spinal cord). Studies shows that elevating NGF levels in the body supports brain health. NGF also helps to sheathe neurons in myelin and aids in the repair of myelin. The risk of dementia increases as a person grows older. However, this does not mean everyone will get dementia. Dementia under age 60 is rare, and about 35% of people will have symptoms suggestive of dementia by age 85. Dementia is not a disease, but rather a set of symptoms related to declining mental ability over a long time period. These symptoms may include loss of recent memory and language difficulty. Q Is it possible to slow down or even reverse memory loss? The human brain is malleable, even in old age. The following factors can help maintain the health of neurons. Diet: Eat a balanced diet. Consume more plant foods like lion’s mane mushroom, Ji-Lin ginseng, and ashitaba, which help support brain health. Exercise: Exercise can increase the blood supply to the brain, boost the growth of new neurons, and forge more connections between neurons. Q Would the ginseng in E-Memories™ cause overstimulation and excessive heat? No. E-Memories contains Ji-Lin ginseng, not Korean ginseng. Ji-Lin ginseng is mild in nature.